The SBCL Easter Egg Hunt will be held on Saturday, April 20 at 10:30 a.m. at Little Island Park. 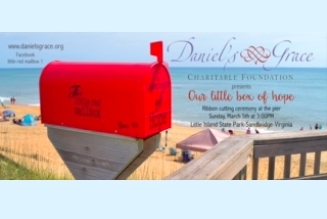 Kids of all ages are welcome and there are a number of volunteer opportunities as well. Categories: Community News and Featured News. The New Year’s holiday weekend was barely over, but that didn’t stop people from flocking to Sandbridge’s Red Cross Blood Drive on Thursday, January 4. Friends of The Virginia Beach Mounted Police saddled up and took their steeds to the sands of Sandbridge on November 3, 2018. 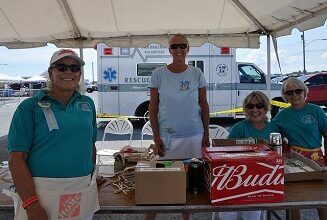 Thank you all who came out to support YOUR Volunteer Rescue Squad. Hurricane Florence was never an issue for this event, but certainly became an issue right after. Our thoughts and prayers are with our neighbors to the South. 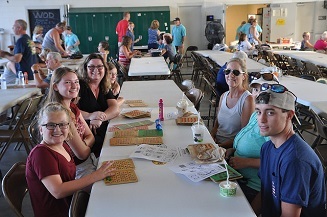 Chalk up another successful summer for Wednesday night Bingo! 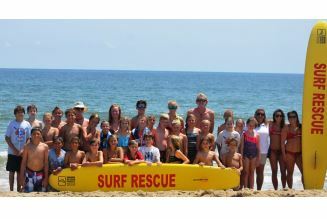 The Sandbridge Junior Lifeguard Camps are getting bigger and better every year. Water safety instruction for over 400 youngsters and raising over $30,000 for "A Dolphin's Promise" are great ways to celebrate our seventh year! July 4th Boat Parade Show Your Patriotism! Meet in Osprey Bay behind Teal Crescent between 6:00 – 6:45 p.m. to get your parade number and space in the lineup. 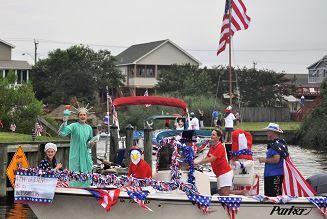 Boat parade travels through the Wood Duck and Bluebill canals and to Mill Pond. Calling all kids! 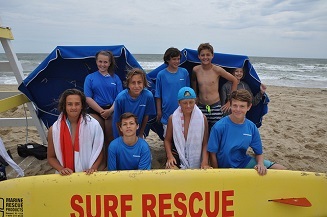 Do you have what it takes to be a Sandbridge Junior Lifeguard? The 2017 Junior Lifeguard camps will be held June 18 & 19 OR June 20 & 21 for ages 8-11 and July 25 through 28 for ages 12-16. The dead of winter is always a tough time for blood donations. Despite that, the Red Cross Blood Drive in Sandbridge met its goal on March 8. Update, since our ribbon cutting ceremony in early March, 2017.